Emad Zia is an Associate Portfolio Manager at TD Wealth Private Investment Counsel working in collaboration with Andrew Peat. He has eight years of financial services experience working with high net worth clients in the areas of banking, wealth planning, and investment management. 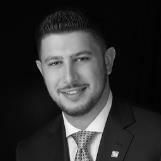 Highly approachable, calm, and patient, Emad develops strong relationships with clients by providing superior service and sensibly tailored advice. Emad is known for his attention to detail and strong problem-solving skills, which are critical attributes in the investment profession. Emad holds a B.A. (Hons.) Finance from York University and is a CFA charterholder. He enjoys basketball, travel, film, and music. Andrew Peat is Vice President and Senior Portfolio Manager at TD Wealth Private Investment Counsel. Andrew joined TD in 1997 and has enjoyed a long career at the bank. As a trusted investment counsellor, Andrew provides discretionary investment management and wealth stewardhsip to clients in the Toronto area. Analytical and curious, Andrew is immersed in the investment profession. His area of focus include market history, politcal and cultural trends, value investing, asset allocation and behavioural finance. Andrew's diverse and verstile backgroud - in business, the social sciences, the arts and competitve athletics - has given him a unique ability to relate to differnt types of people. He derives great satisfcation from forging long-term relationships with clients and making a difference in thier lives. Andrew holds a B.A. (Hons.) in Economics from Queen's University and is a CFA charterholder. He is past treasurer of Oriole Nursery School. His interests are wide-ranging and include reading, hockey, tennis, coaching soccer, hiking, kayaking and art. Saving for retirment is not all that different than hitting the gym. And with the right help and motivation, you just may trim down your waist, while you bulk up your savings. Here are five steps to financial and physical fitness.